With an enormous new Zelda adventure available at launch, it’s understandable that Switch owners may not have been in a rush to buy another RPG that takes 25-30 hours to beat that they’d have to juggle alongside it. 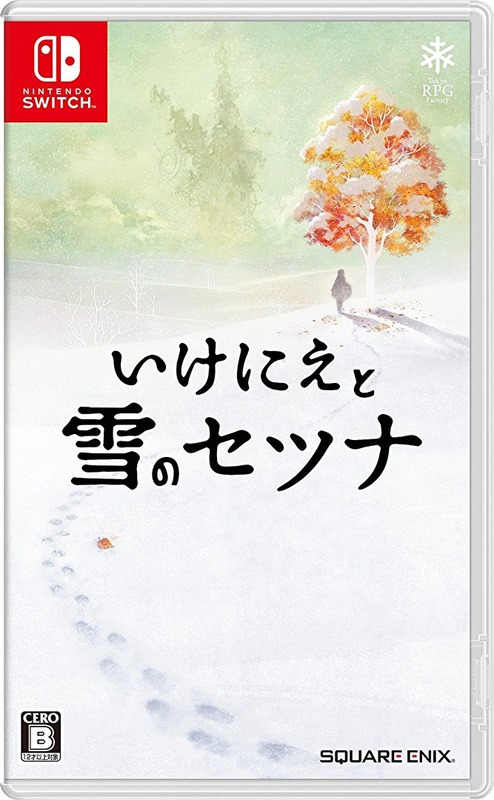 Now that we’re nearly a month into the Switch’s life though, it might be worth giving I Am Setsuna another look if you haven’t yet done so. 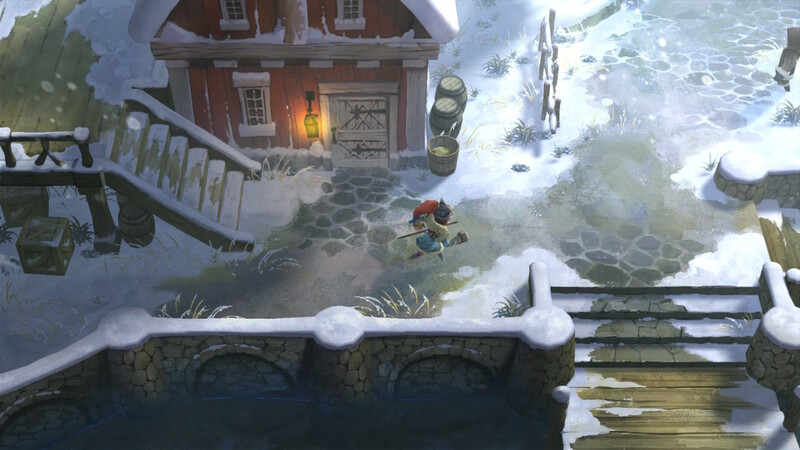 Inspired by RPGs from the ‘golden age’ (the 16-bit era that brought us the likes of Chrono Trigger and Final Fantasy IV), I Am Setsuna mixes old-school mechanics with polygonal visuals to give the traditional RPG style a more modern feel. You play as Endir (thankfully you can change the names), an assassin who’s tasked with killing a young lass by the name of Setsuna. You see, the land the game’s set in is regularly attacked by demons, and the only way to keep them happy is to sacrifice a maiden every now and then. Setsuna is the latest unlucky sod who’s been chosen to pop her clogs, but Endir’s been asked to kill her before the ritual’s properly completed. When he gets to Setsuna’s town, ready to turn her into a kebab (as in a kebab on a skewer, not in pitta bread… that just wouldn’t make sense), Setsuna convinces him to accompany her on her sacrificial journey instead. 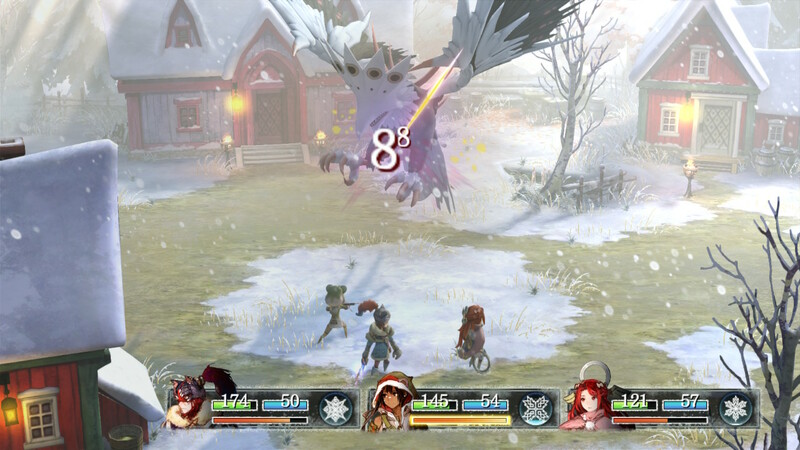 And so, the game has you aiding Setsuna – along with a bunch of supporting characters who join your party along the way – as she makes her way to the place where she’s due to be killed in order to save the world. 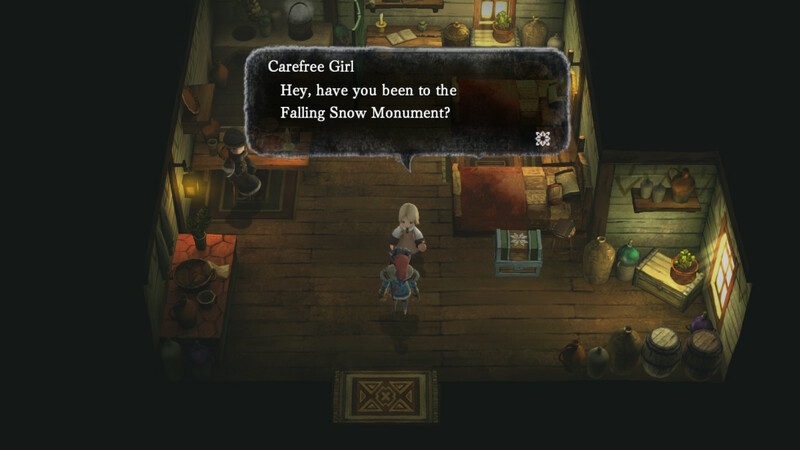 If you’re starting to think “hang on, this almost sounds as funny as Police Academy 5: Assignment Miami Beach”, you’d be correct: I Am Setsuna is about as depressing a storyline as you’ll ever hope to get in a game. Having a mental block while writing something: can someone name a depressing band whose lead singer didn't commit suicide? Ah, that’s better: it’s the New Order of the video game world. While it’s pretty doom and gloom, though, there’s still some beauty to be found in it. The game’s full of lovely snowy landscapes, though these make up most of the environments so if you don’t like snow you’re a bit fucked. It’s also got a gorgeous melancholy piano soundtrack (have a listen), which sets the mood and ensures you don’t dare think about enjoying yourself. 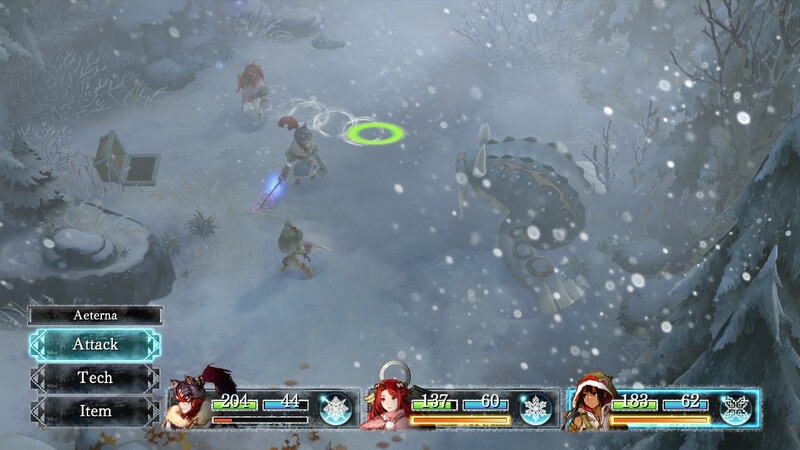 Of course, I’m being facetious: I Am Setsuna is still entertaining despite its gloomy tone, though you have to appreciate a particular type of RPG sub-genre to get the most out of it. It uses an Active Time Battle system similar to that used in Final Fantasy IV to IX, a variation of turn-based combat where the action continues even when it’s your turn to attack. This means if you don’t hurry up and pick your move the enemy may strike first. Here though there’s a sort of risk-and-reward element added to proceedings, because if you leave your attack gauge full, a separate ‘Setsuna’ gauge begins to fill. When it fills up too you trigger Momentum mode, where pressing a button at the right time can boost your abilities (dealing extra damage, recovering your health and the like). On top of this, each character has a bunch of different ‘techs’, special moves which can activated by equipping magic items called Spritnites. There are also Fluxes, which enhance your Spritnites, random events called Singularities which change the way the battle’s going, and all sorts of other gimmicks chucked in there to complicate things. It can be a bit overwhelming, and even by the end of the game I still wasn’t massively on top of it. While it’s nice to be able to just jump directly into a battle with a roaming enemy Chrono Trigger style without switching into a separate battle screen, then, actual fights themselves become a bit confuddling at times. 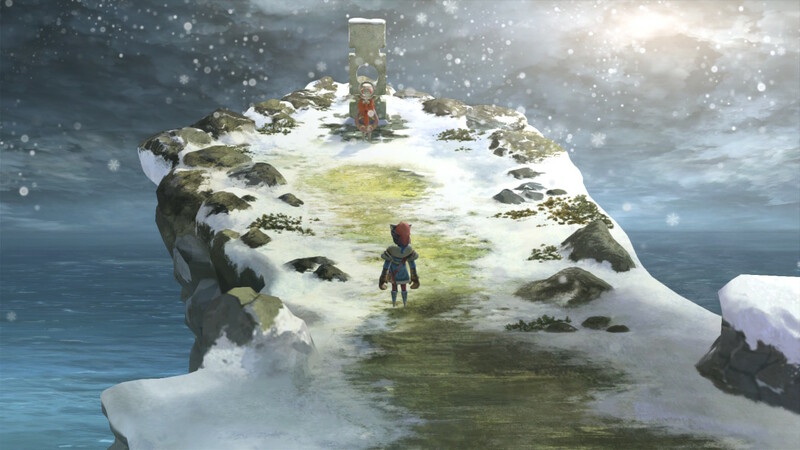 Arguably the most important element of an RPG though is the story and in this respect I Am Setsuna does well. Each character’s side-story evolves in an interesting way, and though you can pretty much guess from the start how it’s going to end, the way they get to that point is certainly compelling. It’s by no means the greatest RPG you’ll ever play, and despite its obvious tribute to the 16-bit Squaresoft epics it never really comes close to matching them in terms of quality. But that doesn’t mean it isn’t still an atmospheric game, and if you can put up with the higgledy-piggledy battle system the plot makes up for it, meaning it’s still worth a look if you’re an old 16-bit RPG veteran. 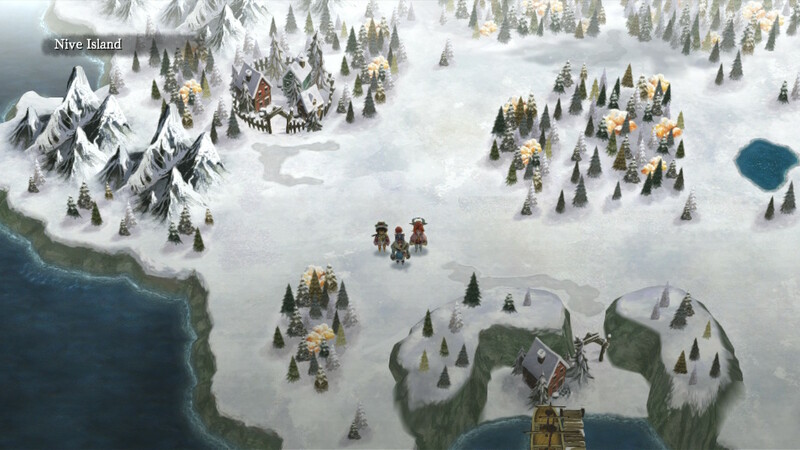 I Am Setsuna is available now on the Switch eShop, priced £29.99 / $39.99. Previous Post: The first ever Tired Old Hack live review!